DESCRPTION Hella type 12/24V plug for connecting appliances to trucks, caravans, camper vans (VW) and boats that are fitted with Hella type power sockets. This is a plug not an adaptor. 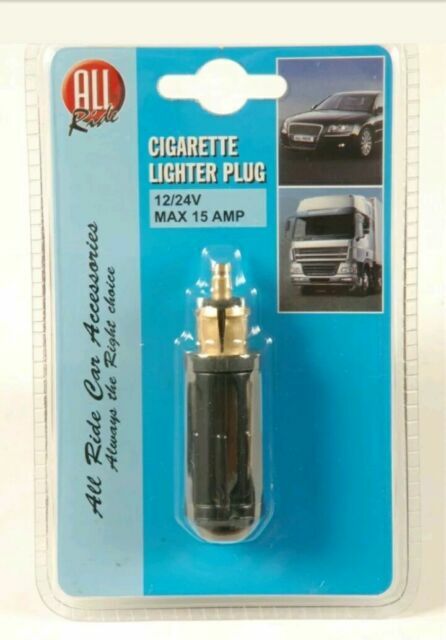 Trucks usually have at least one socket that your standard cigarette lighter plug won't fit into. These are 'Hella' type sockets, and this item is for you. Simple solderless internal connections via screw terminals for direct wiring of accessories. Brand new and unused. Feels solid and looks good, and old and robust construction. Good well made plug just as it should be, fare price.